With 40 years of experience in Senior Executive Search and Board-level involvement, I provide, in addition, Senior Executives, CEOs, and MDs of large business units with confidential consultancy. My areas of competence are HR, key appointments, and personal priorities. Frank yet discreet discussions of the immediate problems of a client, then lead to the investigation and choice of appropriate solutions. My approach focuses in finding practical ways forward, while mapping out the consequences of options available to you as a leader in your organisation. This is particularly helpful in periods of transition: for instance, when moving from one company to another, or moving from one senior role to another. In addition, when a CEO wants to retire, I help to develop a comprehensive transition strategy. I have worked in this capacity with many top executives. Confidentiality has always been of the utmost importance and has always been respected. I have also found that many CEOs and Senior Executives, by the nature of their position, often have few if any people to confide in. Yet they have the greatest need to discuss and assess their concerns and options. My role is therefore also one of a top-level business coach, a trusted adviser and sounding board, adapting to the particular needs of each CEO and senior executive. With my own experience both as a top-level recruiter and as a CEO of a global search organisation, I am able to develop a solid rapport with other CEOs. I am also familiar with the pressures and uncertainties they feel. My clients trust my understanding of their problems and situations. My leadership experience at the international level means I am able to listen to and evaluate ideas. Jean Michel Beigbeder established Beigbeder CEO Advisory in 2013 to meet a growing demand for bespoke CEO advice and counsel. This is the latest step in his varied and fulfilling international career so far. Beigbeder CEO Advisory is affiliated to Cheverny Partners – CEO level search, of which he has been President for 30 years. His professional experience started after his university studies. First an undergraduate in Paris and at Amherst College, Massachusetts, USA, he received a master’s degree in law (Lauréat of the Paris Law School), a graduate degree at the Institut d’Etudes Politiques de Paris, and a MBA at Harvard Business School. He was also a Teaching Fellow in French Literature at Harvard University. In April 1964, he joined Spencer Stuart, the profession’s benchmark search firm and world leader. He was among the pioneers who introduced and developed the executive search profession in France. 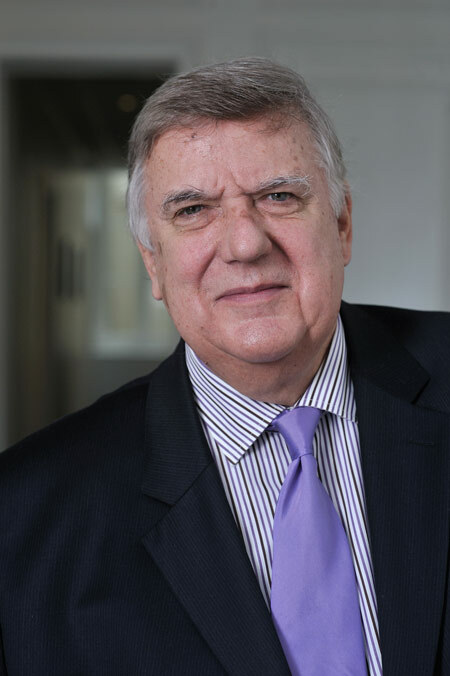 Starting as the founder of its Paris practice, he became Managing Director for Europe and Managing Partner – Chairman of the Group from 1974 to 1982. From 1983 to 1986, he headed Korn Ferry, the largest search firm in the world. He was Chairman of its International Executive Committee with special responsibility for Europe. From 1986 to 2000 he created and managed his own firm, Accord Group Beigbeder & Partners, which he sold to Whitehead Mann Plc in 2000. From 2000 to 2003, Jean-Michel Beigbeder was in charge of the Board Practice in France for Whitehead Mann Plc. In this position, he carried out many CEO and Non-Executive Director search assignments in France and the rest of Europe. In January 2003 he set up Jean-Michel Beigbeder & Partners/CEO Search, Executive and Director Search Consultants. Jean Michel has held the position of Vice Chairman at CT Partners since 2012. He has also been Chairman of the Board of Directors at Alphamed (a private clinics group), until its merger with Générale de Santé in 2005. More recently, in response to a clear market need, Jean-Michel Beigbeder conducts its Senior Executive Search activities at Cheverny Partners. His new role leverages the experience, faculty of judgment and knowledge he has developed over one of the most impressive careers in the industry.